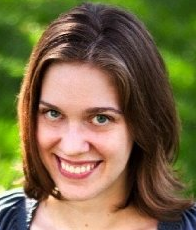 Guest Author: Pamela Aares & Giveaway! You know, I haven’t really thought about the holidays yet. My oldest is getting married in a few weeks. My youngest is moving to another state in a few weeks. This will be the first Thanksgiving and Christmas without my youngest. I’ll be sad. I do plan to decorate the house for Christmas and play Christmas music. I will think of her as she also likes Christmas music. I will probably go to my brother’s for Thanksgiving and be among family. Not sure who we’ll celebrate with for Christmas. Bonnie, you have a busy few months ahead of you! Hope it includes lots of lots of the family time you’re wishing for. At the end of this month I am headed up to the Sunshine Coast for a week to visit family. When I get back I will start to think about Christmas as I have to post a number of the gifts. The holiday season starts early at our house… but I must admit that I’m still enjoying all the fuss! Cate, as long as it’s a nice kind of fuss (especially involving baked goods), bring it on! What are your favorite traditions to begin with? Our holidays are usually pretty quiet, just close family. Thanks for sharing with us! Robin, spending time with close family is one of my favorite parts of the holidays too. Is your family close by, or do you travel to see them? I guess for Thanksgiving we are going to have lunch at my house and dinner ar my in laws house. Christmas…I haven’t even started thinking about Christmas yet!! Thanksgiving is going to be great. I will have dinner at my house and I am hoping that all my children and their family can be here weather and schedules permitting. Rosemary, that sounds like a wonderful celebration. Here’s hoping that the weather behaves, and everyone’s travel schedules do too. I would like to have Thanksgiving dinner at my house. We have a small family which makes it very special. One member of our family will be 90 next year, so each get together is so precious. 90? Wow, congrats to your relative! Hope your Thanksgiving dinner is a great family visit too. That’s a great goal, erinf1! A little more relaxation would make the holidays a lot less hectic. I am Canadian so we already had our Thanksgiving yesterday. We had some turkey and the usual thanksgiving food at my relative’s place. Too many people as usual so I am glad that it’s over in a way! May, I’ve wondered if Canadian Thanksgiving had the same food traditions as U.S. Thanksgiving. I guess you do! Hope things are calmer for you for a while. My family and I have not started making any plans for the holidays yet, but we will either be at my sisters house, my niece’s house or my house. I love the holidays and try to enjoy every second of them. Mary, that sounds so nice. Do lots of your family members live near you? Great blog today thank you. Congratulations on the books from both of you they both sound great I can’t wait to read them. Since money is short this year we will be staying home for the Holidays! Penney, hope it’s a good “staycation” for you. Sometimes those are the coziest! Thinking about the Holidays start early for me. There are too many people and kids to think about and shopping has to start early or I’ll go broke. lol. Yazmin, good point. Starting early means you can keep an eye out for great sales! From October to the end of December are my favorite times of the year. Right now I am looking forward to all of the craft shows coming up. From now until the first of December there are at least two per weekend. I love finding unique, handcrafted presents and decorations at all those craft shows. Kim, that sounds so fun. What are some of your favorite things to look for? Do you like to collect ornaments? Beebs, that sounds like a wonderful day! We now spend Christmas Eve at my parents house, instead of our house. My parents are in their 80s and don’t like to drive very far, so we go there. We go to church and hear my Father sing in the choir then the whole family goes back to open gifts. A wonderful new tradition. Ann, that’s lovely. Enjoy your new family tradition this year. Thanksgiving and Christmas will be spent with my family and a close family friend. I always look forward to Christmas with my grandchildren and to visiting for several days with my brother and his family. Janie, that sounds so nice. The more family around (usually) the better at that time of year! Thanksgiving is going to be spent back in my hometown again. Will be spending time with both sides of the family once we get there. Christmas is different. My inlaws don’t celebrate it but my side of the family does. We have yet to make any plans for it though. Alyn, do you think that makes Christmas celebrations easier if you don’t have to split the day between two families? My in-laws don’t celebrate it either, so while Thanksgiving can be a scramble to see everyone, Christmas is usually quieter for us. We’ll be having a family get together come Christmas. My older sis migrated with her family to NZ so we don’t get to see her much – every 2 years of so. They’ll be home for Xmas this year *happy jig* & my other sis who lived in another state will be home too with her family. It’s going to be great! Wow, New Zealand? That’s not an easy trip to make back to the US. Hope everyone has safe travel–enjoy the visit! We’ll have a family get together at Thanksgiving. bn100, hope it’s a good visit. Are you hosting? Kidlets one and two are coming home from college in December and kidlet three is having his Wisdom teeth out right before Christmas so it should be interesting and busy holidays. Ack, there’s never a good time to have wisdom teeth out. Lots of soft Christmas food (or eggnog?) for kidlet three this year! I bet Utah is wonderful at that time of year, Melody! Sorry I’ve been a bit AWOL, folks, but Theresa has been holding down the fort. I’ve been in and out the last few days, but enjoying reading all your plans for the holidays! Love historical fiction. And the Regency period is so interesting. Both sound like awesome books! Thanks, Vicki! I’ve been a Regency girl from way back. Dawn, I wish all the best for you and your husband. I hope you enjoy your early Thanksgiving together, and that he returns home to you soon! Our son lives in Japan and we really miss him – that darn flight is sooo expensive and so long! I’ll be celebrating at home with the family. Hopefully it will be relaxing and non-stressful, my favorite type of holiday. 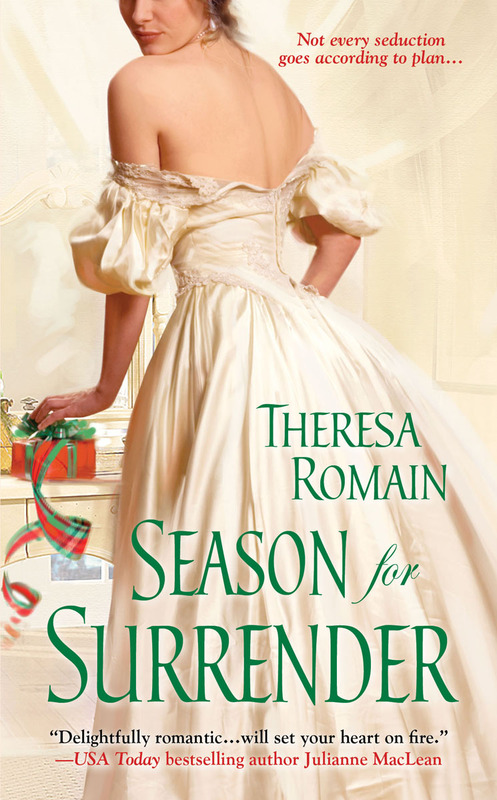 No need to enter me in the contest as I just finished Season For Surrender; loved it and would recommend to us historical romance addicts. Sherri, I’m so glad you enjoyed Season for Surrender! Thanks for stopping by (and for hosting me recently! ).